Summary: This article shows you how to convert YouTube videos in any formats to MP4 with YouTube to MP4 converter like DVDFab Video Converter and online YouTube converters freely and quickly. If you want to download YouTube videos for offline watching on a subway or a train, the best choice is to download the videos to MP4 format. MP4 format is a universal format that is widely supported by all kinds of players and devices, which include Quicktime player, Windows Media Player, iPhone, Android, tablet, game console and other devices often used in our daily life. It is easy to convert YouTube to MP4, and all the thing you need is a desktop YouTube to MP4 converter or a web-based online converter that can convert YouTube links. Now we will show you 3 different ways to download and convert YouTube videos to MP4 easily and freely. If you want to use a full-fledged desktop YouTube to MP4 converter program to convert YouTube videos to MP4 format, DVDFab Video Converter is the very best option for Windows and Mac. DVDFab Video Converter comes with a fast YouTube downloader that can download YouTube videos in any formats to your computer even in a few seconds. When the download is complete, it allows you to add the video to the Converter module directly. DVDFab Video Converter features a fast conversion speed due to its support to hyper-threading, hardware acceleration technology and multi-core processor. For a two hour long HD video, it can convert in a few minutes. This YouTube converter includes many customization tools that those online converters don’t have. With it, you can tweak your settings (codec, frame rate, resolution, video quality, etc.) and edit your video (crop, trim, add watermark and subtitles, adjust picture values, etc.) freely. DVDFab Video Converter is not only a YouTube to MP4 converter, but a powerful converter with many format profiles and preset profiles for various devices. 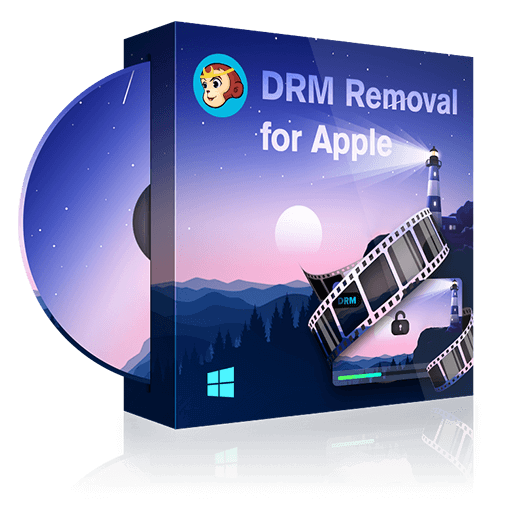 You can use it to convert any videos to MP4, AVI, MKV, FLV, MP3, AAC, etc., devices like iPhone, PlayStation, Android, etc. and 4K and 3D videos. How to Download and Convert YouTube to MP4 with DVDFab Video Converter? Download and install DVDFab 10 on your computer and run it. Go to Utilities module, choose “Video Downloader” option and click YouTube icon to go into YouTube website. Find the video you want and play it. Click the “Download” button on the top left corner and then click the resolution you want to start the download process. Click the “Download” tab on the address bar, you can see the download process. When the download is complete, you can click “To Converter” to add the video to Converter module directly. Go to the Converter module and click the “+” button to load the YouTube video you want to convert. If you have added the video, please ignore this step. Navigate to the profile library on the top left corner, and click Format > Video > General > MP4. Now you can change the video name, customize your settings and edit the video. Move to the bottom of the main interface and click the “folder” icon to select a directory to save the output MP4. Then click the “Start” button to start the conversion process. If you think it’s bothersome to install a program on your computer, you can turn to an online YouTube to MP4 converter. Online YouTube converters are normally slower than software like DVDFab Video Converter and usually don’t contain so many customization tools. But some online converters with some few extra options still can fulfill your basic conversion need. Here are many free online YouTube to MP4 converters available on the internet, and here we choose to convert with ClipConverter.cc. ClipConverter.cc is a free online video converter that allows you to download and convert YouTube video links to MP4, 3GP, AVI, MOV, MKV, MP3, M4A and AAC. It is said that it supports 4K format, but it can only output 4K MKV and WEBM, and cannot convert a YouTube source to 4K MP4. It lets you cut the video by setting the start time and end time of the video. The following are the detailed conversion steps. Step 1: Go to the website of ClipConverter.cc, copy and paste the YouTube video link to the input field. Step 2: Choose the resolution and size you want, and change the video name. Step 3: Choose the MP4 format. Step 4: Set the start time and end time of the video. Step 5: Click the “Start” button to start the process of converting the YouTube video to MP4. There is still another special way for you to convert YouTube videos. The tool is not a truly YouTube to MP4 converter, but a video player you might use in Daily life, and that is VLC player. VLC is a free media player with many hidden features. One of the features is that it can download YouTube videos and save them to MP4 to store on your computer. Let’s check out how to convert YouTube videos to MP4 with this player. Step 1: Copy the YouTube video link you want to convert. Step 2: Run VLC, and click Media > Open Capture Device, and select Network. Step 3: Paste the video URL into the URL box on the panel and click “Play” button. Step 4: Click Tools > Codec Information. Step 5: Copy the contents of the location box, paste it to the address bar of a browser and hit the “Enter” key. Step 6: Right click the video and select Save As. Step 7: Select MP4 as the format and a directory to download the file. The VLC player method only allows you convert YouTube videos to MP4 and doesn’t provide any tools to customize your video. Some users may also think it is a little complicated. So we still recommend you DVDFab Video Converter, easy-to-use and full-featured. But if you think online YouTube to MP4 converters is more convenient, just feel free to try them. Thank you for reading. Compared with MP3, WMA is a better choice for pro music listeners, it has an overall better audio quality. Here are some of the best WMA music players which we tested. How To Download Free MP4 Movies For Android? How to download free MP4 movies for Android? Here are methods and detailed steps for your reference. To play FLAC on your Mac a professional Mac FLAC player is necessary. So here we have compiled top 5 best FLAC players for you to enjoy FLAC on your Mac freely.